Mike is a venture builder focused on early-stage startups who brings his expertise in digital marketing and product to focus on Tinysponsor. He has diverse experience as a technology entrepreneur, investor, and strategist with expertise in marketing, branding, UI/UX, product development, cross-market finance, and platform creation. Mike focuses on applying new technologies and initiatives, from macro-level strategy to hands-on execution. Mike has played key roles in multiple startup ecosystems globally. He has worked with and advised startups from Y Combinator, IdeaLab, 500 Startups, Yetizen, SUPRMASV, and others. As the strategist on the founding team of Kogi BBQ, Mike's work prompted a worldwide twittering food truck phenomenon which led to the creation of a new billion dollar market. As one of the youngest CTO's of a publicly traded company, he also paved the way for wireless technologies in the Las Vegas gaming industry. Prior to his work in startups, Mike delivered digital strategy and implementation for companies large and small, from local businesses to Fortune 500's, including Microsoft, Amadeus, Nolet's Gin, Fatburger, Burger King, Fedex, Outrigger Hotels, Wynn Hotels, Tasting Panel Magazine, NVIDIA, Toynami, and others. As a creative director, his teams have won numerous awards and recognition, including 2 ADDY's. 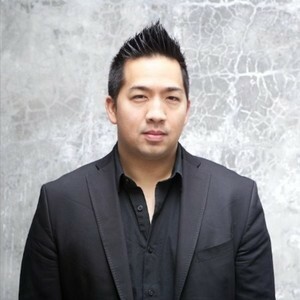 His work has been covered by most major news outlets and he has spoken at many global tech conferences such as Echelon Asia Summit, VentureCon, iStrategy Conference (Opening Keynote), SXSW, Social Media Week, TWTRcon, and more, as well as at renown colleges such as UCLA, USC, Loyola-Marymount and others. As a subject matter expert, Mike has been called on by TechCrunch, Fast Company, NPR, FOX, LA Times, LA Weekly, Village Voice, SF Weekly, KHON, HPR and many more. Mike Prasad has been a guest on 1 episode. In this MarTech Interview, we speak to Mike Prasad. Mike launched his online career doing web development before companies even understood the Internet. Years later, he's developed, helped, and invested in some of the best brands in digital media.